Theft offenses account for more arrests than any other crime annually in Florida. In a recent year, state law enforcement officials reported there were more than 600,000 burglaries, larcenies, robberies and motor vehicle thefts resulting in 180,000 arrests. That figure didn’t include the 955 people arrested for embezzlement, 12,200 arrested for fraud, 2,500 arrested for forgery and 2,400 arrested for buying and receiving stolen property. In context, that would be like every single resident of Fort Lauderdale (population 173,000) being arrested for a theft-related offense, plus another 25,000 people. Even then, it wouldn’t account for the number of people arrested for offenses like petit theft and retail theft. Anyone arrested, charged or being investigated for a theft crime should consult with a Fort Lauderdale defense attorney right away. There could be a number of legal strategies that could result in a favorable resolution. 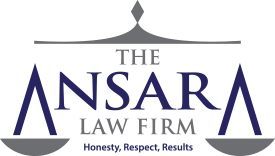 At The Ansara Law Firm, our experienced criminal defense lawyers are committed to helping those accused of these offenses. The broader crime of theft is codified in F.S. 812.014, as is larceny, petit theft, grand theft and embezzlement. Other theft-related statutes cover the other forms of the crime. For example, F.S. 810.02 covers burglary, F.S. 812.13 covers robbery and F.S. 817.568 covers identity theft. These crimes are all variations of the same basic offense: Acting with the intent of depriving another person or business from the benefit of certain property. What is Theft in Florida? Appropriate the property to his or her own use or to the use of someone else who isn’t entitled to the property. The criminal history of defendant. What Exactly Are the Penalties? Although there may be number of potentially aggravating or mitigating factors, the following offers a general breakdown of the kind of punishments one can expect if convicted of a theft-related crime. Property valued at less than $100 – This is a second-degree misdemeanor, punishable by up to 60 days in jail. Property valued at between $100 and $300 – This is a first-degree misdemeanor, punishable by up to one year in jail. Property valued at between $300 and $20,000 or a stolen firearm, motor vehicle, commercial farm animal, stop sign or large quantities of citrus – This is a third-degree felony, punishable by up to five years in prison. Property valued at $3,000 where two or more people are involved in the scheme – This is a second-degree felony, punishable by up to 15 years in prison. Property valued at between $20,000 and $100,000 – This is a second-degree felony, punishable by up to 15 years in prison. Property valued at $100,000 or more – This is a first-degree felony, punishable by up to 30 years in prison. Commission of any grand theft that uses a motor vehicle as an instrumentality or results in more than $1,000 in damage to real or personal property of another – This is a first-degree felony, punishable by up to 30 years in prison. Loss of future professional opportunities. Loss of business or client accounts. Loss of trust within close relationships. Potential denial of applications for U.S. Green Cards or U.S. Citizenship. Given the severity of these consequences, our goal is to help our clients avoid conviction entirely, if we can. We apply our many years of practical knowledge and skill to our clients’ advantage in helping to resolve these matters in the most favorable way possible. If you have been charged with a theft crime in South Florida, contact the Fort Lauderdale Criminal Defense Lawyers at The Ansara Law Firm by calling (877) 277-3780.